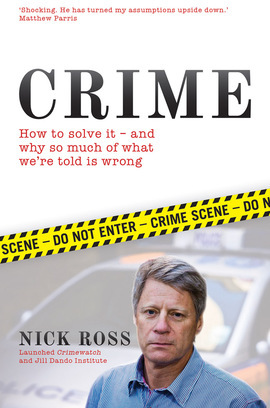 In a whirlwind demolition of dozens of misconceptions about crime, Nick Ross proposes what is arguably the most radical re-think of crime policy since the dawn of policing. Setting conventional thinking on its head, Crime challenges everything we take for granted, showing why the criminal justice system has little effect on crime rates, how policing has been hijacked to serve the needs of lawyers, and how ‘facts’ about crime are continually manipulated to serve the needs of politicians and the media. Crime is the result of twenty years’ experience working with victims and police, and ten years’ research to find out what makes crime rates ebb and flow. This is a major work that explodes fallacies and entreats us to be more sceptical. Crime will delight those who come to it with an open mind and infuriate ideologues from the left, right and centre. [This book] presents a revolutionary new criminal and policing policy. He has turned my assumptions upside down. [O]ne of the most interesting, well-written and thought-provoking books I’ve read for a long time.